At Definition Dental, we believe that dentistry is more than just a set of procedures — it’s a form of art. Dr. Agarwal’s combination of extensive education and her keen eye for aesthetics offers her patients the ultimate dental experience: complete health care with attention to detail, comfort, and appearance. 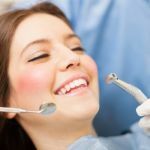 We take a conservative approach in our practice — you’ll never be pushed into an unnecessary procedure. Instead, our team focuses on educating and empowering our patients for proactive care and optimal maintenance of oral health. We love to provide an outstanding patient experience and are proud to be rated as one of the top dentists in Beaverton. 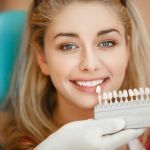 Whether you are seeking General family dentistry or an experienced cosmetic dentist for extensive services, our priority is keeping your smile beautiful and healthy. You’ll leave our office with your brightest and healthiest smile yet — and some new friends, too! Our clients are our priority, we offer quality dental services in Beaverton with a team of specialists. More details about our services below. At Definition Dental, your oral health is our number one priority. Unlike other dentists, however, we don’t start by looking in your mouth — we start by getting to know you. We listen carefully to your concerns, questions, and requests, and work alongside you to create a treatment plan tailored precisely for your oral health goals. Definition Dental provides a vast range of dental care services in Beaverton under one roof for our patients. We take pride in using the highest quality materials and latest technology to provide outstanding patient care. Come see us whether you are a new patient looking for a free second opinion, or if you are looking for a specific service such as dental implants or Invisalign. Emergency Appointments & Walk-Ins Welcome.